Our water heater experts are ready for just about any problem you might have. A leak? Not enough hot water, or none at all? Not a problem. Our top-notch trouble shooters make water heater repairs quick by going straight to the actual cause. Our licensed pros also have extensive experience in replacement and new water heater installation. Our expertise extends to other high-efficiency options to economically meet the latest energy efficiency standards… or exceed them for tax credits and HERO Financing. We provide water heater services to all Ontario, Riverside, San Bernardino, Fontana, Rancho Cucamonga, Redlands, Corona, Temecula, Murrieta, Upland, Rialto, Yucaipa, Hemet, Chino Hills, Perris and Moreno Valley, California. Call us today to schedule an estimate. 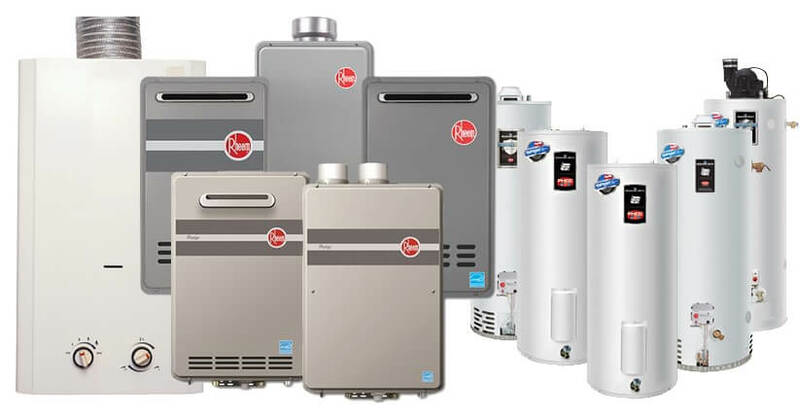 We service, repair and install most major brand water heaters. Our technicians will always recommend the most affordable and energy-efficient units based on your household needs. Did you know that hot water can account for as much as 1/4 of a home’s energy use? There have been some big changes recently with new federal efficiency standards taking effect in 2015, especially for large (above 55 gallons) electric water heaters. If you want to do even more in reducing US energy consumption and its environmental impact, and perhaps save some money along the way, Energy Star Certified models can save even more and will likely qualify for HERO Financing and tax credits. Although it may look like just a big tank, hot water heaters have quite a few parts that can fail. Valves, fittings, and the tank itself can leak. A broken pressure relief valve can flood a garage, or fail to protect you against a steam explosion. Protective anodes get used up over the years, and once that happens rust and corrosion set in. For safety as well as basic operation, gas water heaters use a chain of components. Diagnosis can be tricky with the weakest link anywhere in that chain — the pilot light, thermocouple, gas valve, controller, thermostat, and burner. Electric water heaters are simpler, with a couple of electric resistance elements, an over-temperature circuit breaker, and a thermostat. Plus a sometimes finicky pressure relief valve and all the other common components. Our experts don’t guess. They’ll work backward from the symptoms and perform tests to zero in on the actual culprit. They’ll efficiently fix the problem, and make sure that everything’s in proper order before they leave. It may be time for a new water heater. That’s probably the case if you’ve been having problems and it’s nearing the end of its expected lifetime. 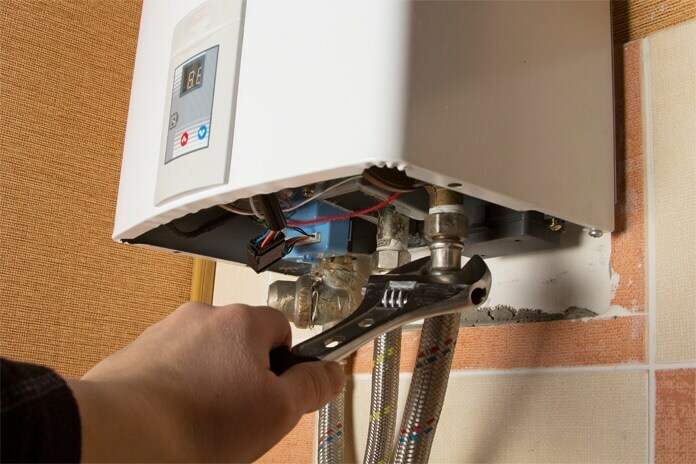 Our water heater installation pros can typically install a replacement in just a couple of hours. We’ll give you a genuine estimate that covers everything then take care of everything start to finish, including handling permits and hauling away your old unit. That can all happen in a single afternoon. Whether gas or electric, residential models are mostly storage tank water heaters with capacities ranging from 20 to 120 gallons. The most common size, 40 gallons, is well suited for the typical 3-bedroom 2-bath home. Our experts will help you choose the size, make, and model that’s best for you. (c) 2019 IE Water Heater Pros - Designed by Partners In Local Search.